If you are a fitness freak, you will find that opening a health club is a great way of doing something that you love. People are getting very health conscious by the day, owing to the unhealthy corporate lifestyle that has become very common in the modern way of life. One of the error that owners do with health clubs is that they don’t treat it like a business. Since they feel that it is a place where people feel like they can relate, they tend to take it in a more personal way. 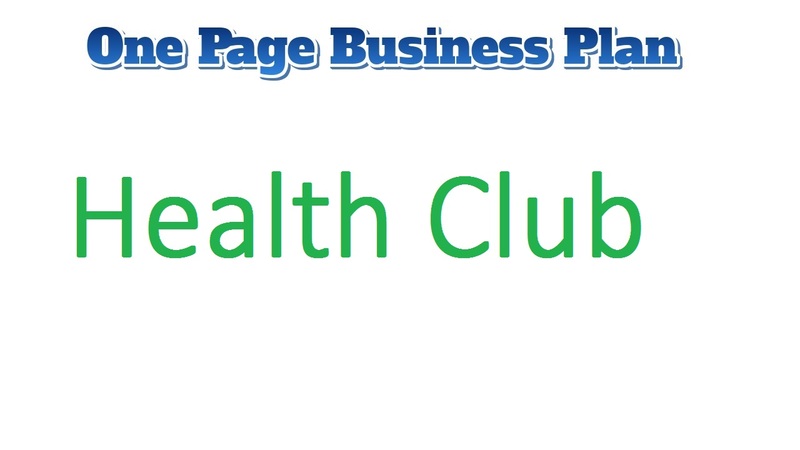 A good business plan is very important to the success of the health club. The capital required to start this business could be pretty high. Since you will be needing all the expensive equipment and a huge space. And trained employees. The cost might go higher than $90,000. Your business location should be at heavy traffic area so that you get noticed by the passers-by. And they choose your health club as their ideal gym. Stay away from competition, you do not want to be among the best health clubs, this way you will be overshadowed. If you are the one and only owner of the health club, you will not have any ownership problems. However, if you are with a partner, ensure that you draw up an ownership agreement that will clarify how much of the profit or loss you are going to bear. Also, when you have a health club, you need staff members based on the size of your health club. If it is a huge establishment, you need teams to handle various aspects including trainers. Suppose that you go in with a skeleton team, you need someone who can handle the reception, the accounts, the store, and the trainers’ team. Make sure you enlist based on your budget and based on the requirement. It will be baseless if you hire 20 trainers for 10 members. A 3:1 ratio of trainer to member should work well. Growth should be an important part of any business plan and same holds true for your health club. Set a schedule and target a certain number of members in that timeline. If you achieve that, push up your targets for the next time spot. Or else, go back to the drawing boards and think where you might have gone wrong during the gym sales procedure. The membership fee might have been too high or the marketing agenda might not have been sound. The club might not have the right facilities that the members are expecting. It is vital that you identify the mistakes and fix them soon. Since most of your members will be from the local area, you need to have a strong local marketing plan. Flyers, ads, brochures, and recommendation forms are some of the best ways of getting attention focused on your health club. You can also reach out local businesses and ask them to put up posters of your health club. Go online and use social media channels to market your club. Introduce offers like early bird discounts. Just ensure that the marketing plan kicks things off with a bang. Once you start getting signups to your health club, do forget to always collect an email address. Email marketing campaigns are a continuous crucial and constructive effort! Your target markets are the people who love stay fit and not get obese. Also the obese people, who now regret and want to get fit. Make your health club a friendly place for everyone so that you get recommended by all your recent and up-coming customers. You do not need a degree. However, you need the experience to establish this business. Try working under a health club as a manager to learn how to manage this sort of business. The business lets you follow your passion and has a good income as well! Your key to success is training your employees in the best manner. If they have no idea what they are doing, your business might be in huge loss.